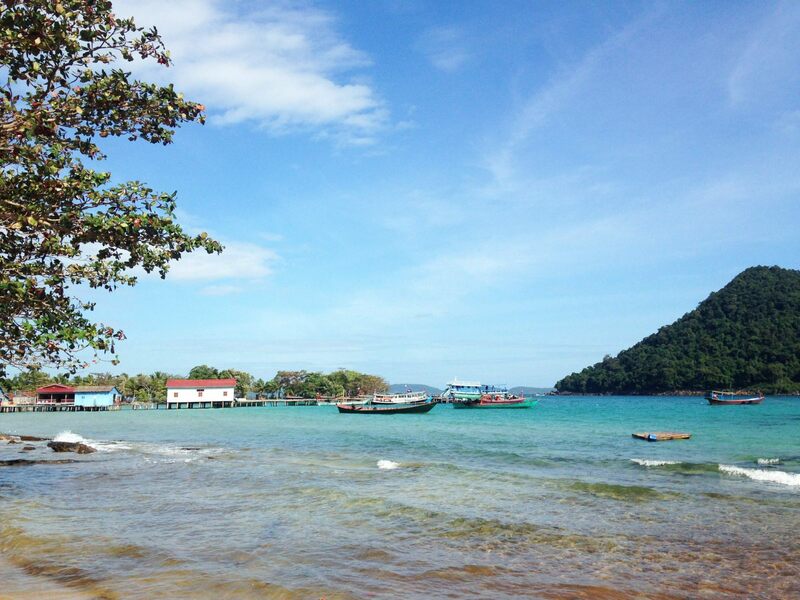 In Sihanoukville, you can go to any agency to book your boat tickets. Most of the boats can drop you at M'Pay Bay but ask the company to be sure. Price is 15$ with the return. Cambodia is known worldwide for its huge cultural heritage of the Angkor temples but did you know that it also has some incredible beaches? 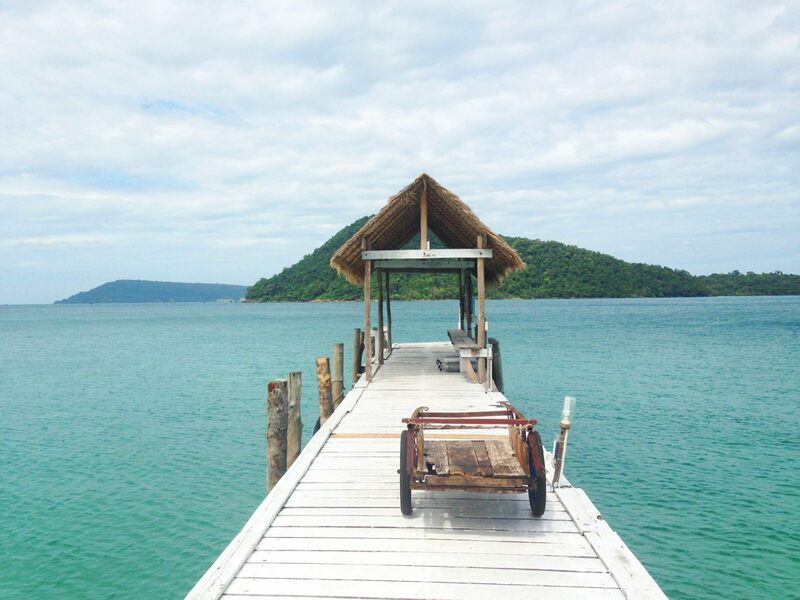 You are exploring Cambodia and are looking for crystal clear water, white sandy beach and relaxing atmosphere under coconut trees… Well, there is no need to go further Hibiscus & Nomada has found the perfect island for you, its name Koh Rong Samloem. 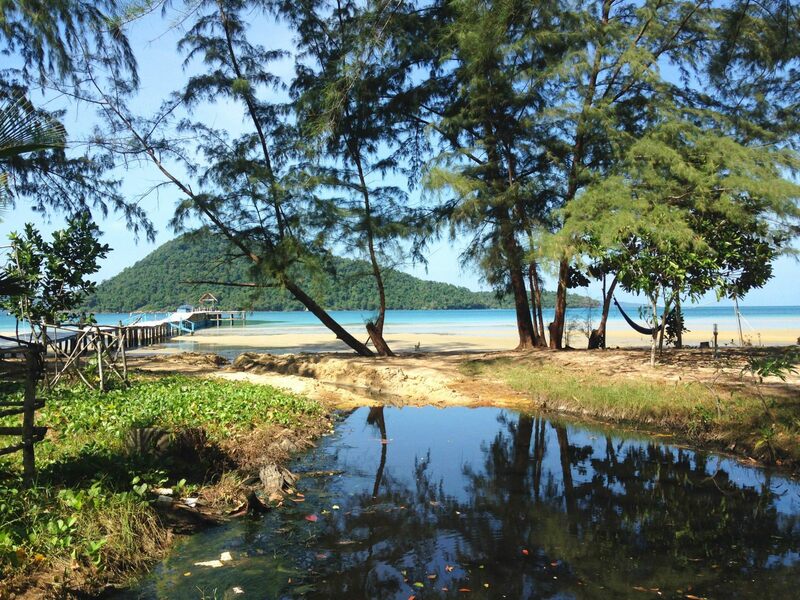 Koh Rong Samloem is located in the Gulf of Thailand just in front of the party island Koh Rong. 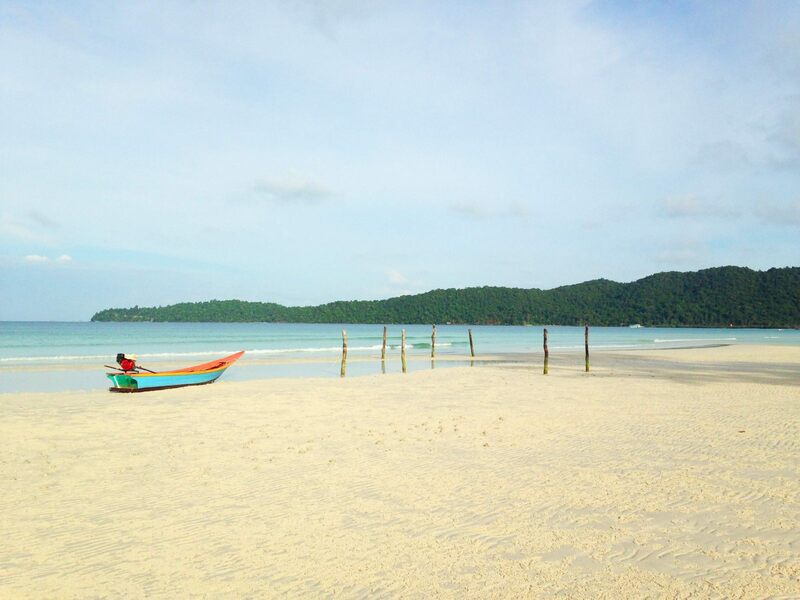 Smaller than its neighbor, Koh Rong Samloem is much wilder and still preserved from massive tourism. If you really want to enjoy the island as its best, Hibiscus & Nomada recommend you to stay at the traditional village of M’Pay Bay. It was the first village of the island, Cambodian people settled there a few years ago to live from the fish. Welcoming foreigners there is quite recent so it’s still very calm but also authentic. Not one single road, no hot shower and no Wi-Fi… But this is exactly what makes the experience a unique one. M’Pay Bay has several beaches around where you can easily snorkel and dive. The most beautiful is EcoSea Dive beach, a 1.5km yellow sand beach with many shades of blue. The beach is just behind a forest so you will get the impression to be on a desert island! From M’Pay Bay, you can discover the other part of the island taking a boat to reach Saracen Bay for 3$. 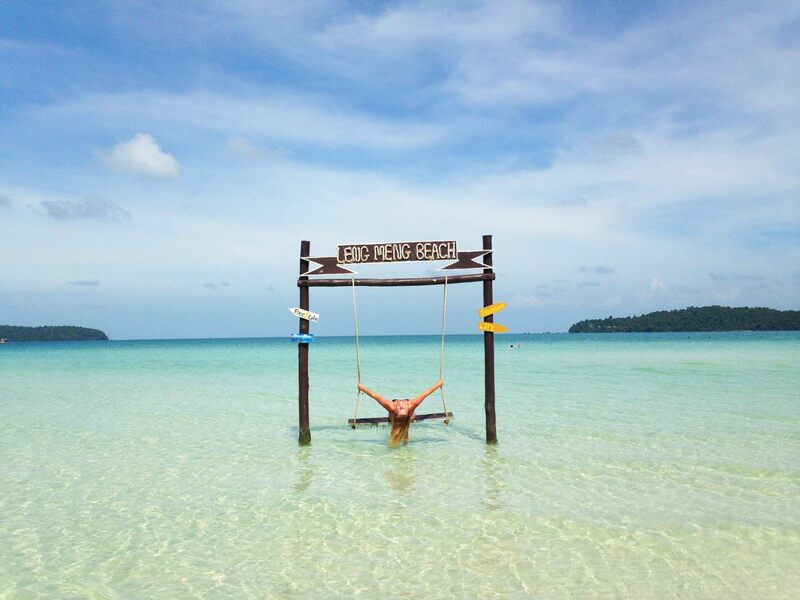 Saracen Bay is the typical magazine beach; white sand, transparent water and swinging chairs all around. But it is also very expensive to stay and eat there, that’s also the reason why M’Bay Bay is the best option for a backpacker budget. 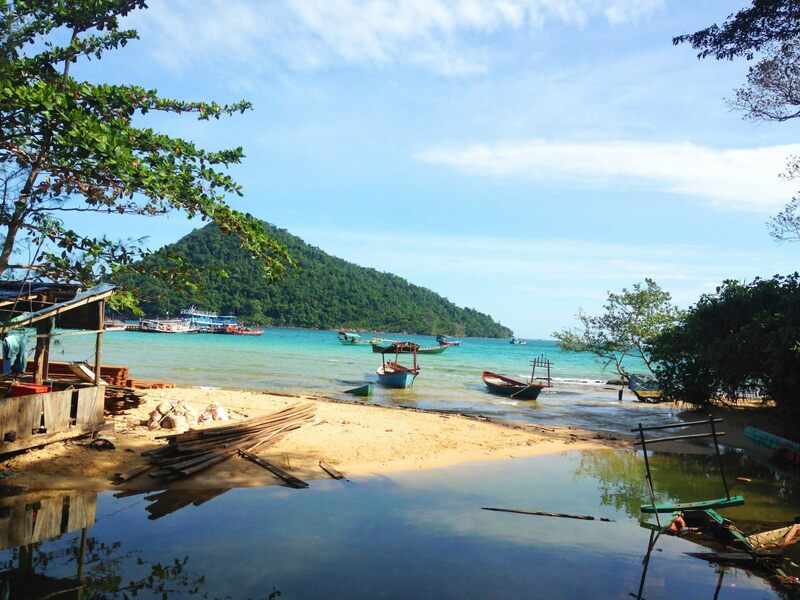 Nevertheless, on a day trip you can chill at Saracen Bay but also walk to Lazy Beach and Sunset Beach which are both 20 minutes walking from the main beach. Easy Tiger is the best spot of M’Pay Bay. It offers dorms for 7$ and private bungalow with shared bathroom for 13$. Great staff with good vibes! Cozy chairs to chill out in front of the sea! And the best English breakfast of Cambodia ☺ The other good reason to stay at Easy Tiger is that your money contributes to help the only school of the island. 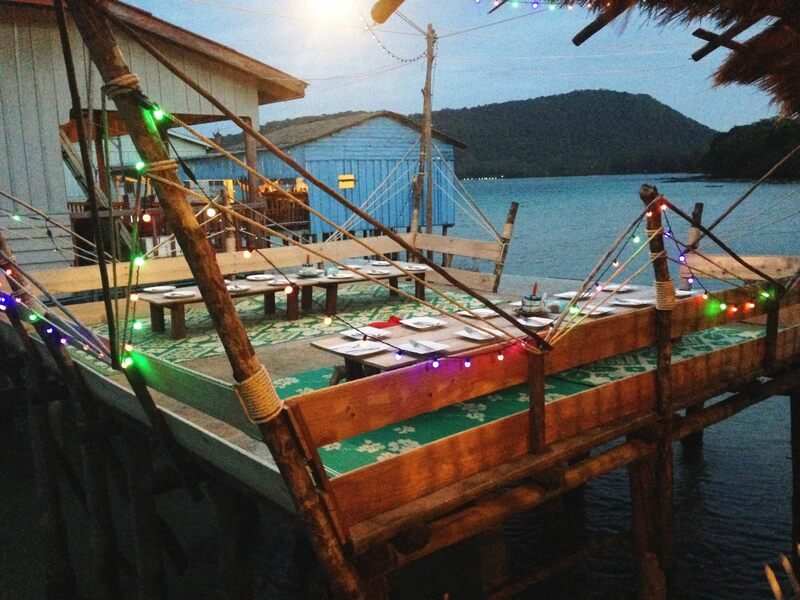 If you stay in M’Pay Bay, you MUST try the 6$ dinner buffet at The Fishing Hook . Food is absolutely delicious and you have a lot of choices between vegetables, vegan dishes and fish and seafood grill. Everything is fresh and homemade. The leftovers are served to the local community. You need to book the day before to make sure you will get a table. In front of the pier there are few restaurants offering meals from 2$. You can try Khmer food such as Amok which is fish or meat served with fresh coconut milk and kroeung, a type of curry paste made from lemongrass, turmeric root, garlic, shallots, galangal and finger root. Just before reaching EcoSea Dive beach stands M’23, an open air bar with loads of hammocks. They organize bonfires with live music and happy hours several nights a week. Cocktails start at 2$, buy one, get one free. 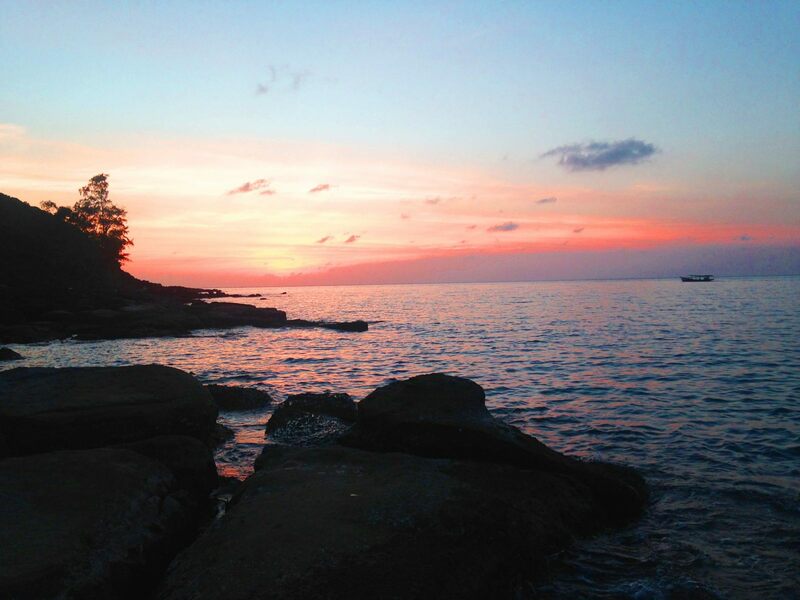 At the back of the M’Pay Bay, you can enjoy movie nights for free at Dragonfly Guesthouse , they also have a great view over the sea where depending on the season you can watch sunsets.